If you think that it might be too late to start a career in Nursing, nothing could be further from the truth. One might think that when it comes to pursing a career in the healthcare field, years of schooling are required and you’ll need to start as early as possible. While that may be true for some professions within the healthcare field, the nursing industry is slightly more lenient in that there are academic programs designed to prepare students to practice patient care at an accelerated pace. These programs may not require as much time in school as a medical doctor would take. There may be students who have earned their degree in a field that is completely different from the nursing field. Most people may find pursing an associate or bachelor’s degree in Nursing intimidating and out of reach because other undergraduate classes they took might not complement the nursing courses. For instance, a graduate who has earned his or her associates degree from the school of fine arts might have a more challenging time enrolling in an Associate or Bachelor of Science program in Nursing. That doesn’t mean that it’s not possible to do, it’s just might take a little more time. Do You Have to Start All Over Academically to Become a Nurse? It’s going to take more time and money to take the courses that are relevant to the certain higher-level courses. This is because prerequisites are needed to enroll in most classes. As a result, students might think that they have to start all over again academically. This all depends on what your transcript looks like. 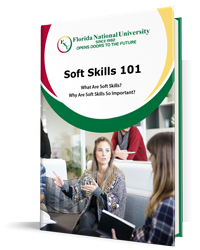 Florida National University (FNU) located in Miami, Florida understands that students can change their minds during the course of their college career. That is why our Nursing programs are strategically designed for entry-level students, and offer high quality education in a variety of settings. FNU is an accredited educational institution by the Southern Association of Colleges and Schools Commission on Colleges (SACSCOC). SACSCOC’s goal is to “assure the educational quality and improve the effectiveness of its member institutions.” FNU mirrors SACSCOC’s core values of integrity, accountability, continuous quality improvement, transparency, peer review, and most importantly, student learning. Schools that apply for accreditation must fall in line with SACSCOC’s goal and must demonstrate that through their academic catalog, and amount of graduates. An accredited university offering a Nursing program must also account for how many students pass the National Council Licensure Examination (NCLEX). 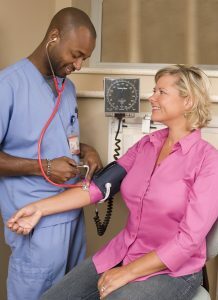 Finding an accredited college or university that offers a nursing program assures students that they are investing in a quality education and can expect to learn everything there is to know about preparing for a career in nursing. In the city of Miami, where a considerable amount of time goes towards commuting depending on where you live and which school you’re enrolled in, finding the right nursing program in the South Florida area is key. If you can find a good nursing program in Miami, that’s even better! FNU has three campus locations in the South Florida area, two in Hialeah and one in Miami. All of our campuses are close to major highways allowing for an easier commute. However, there is the exception of clinical hours. Clinical hours are required for entry-level nursing programs and allow students the opportunity to obtain hands-on experience in a professional healthcare setting. The overall purpose of the FNU’s BSN program is to develop students’ comprehension and professional experience so that they can successfully function in a variety of roles expected in the nursing industry. FNU students will have a better understanding of health assessment, nursing theories and concepts, research, and leadership skills. Furthermore, students who successfully complete this program will be fully prepared to take the NCLEX. Students who choose to enroll in this program will need to complete at least 120 credit hours. There are 53 credit hours to complete for general education that consist of 12 credit hours of Communications, 6 credit hours of Humanities, 6 credit hours of Behavioral and/or Social Science, 18 credit hours of Natural Sciences, 7 credit hours of Math, and 4 credit hours of computers. A total of 67 credit hours is needed to fulfill the core courses that concentrate solely on the subject of Nursing. Within these core courses, you will have a broad understanding of nursing in general as you will have touched on the subjects that relate to the Fundamentals of Nursing, Maternity and Newborn Nursing, Psychiatric Nursing, Pharmacology, Community Health Nursing, and more. In order to apply to FNU’s BSN program, you’ll need to take the Kaplan nursing admission test and score at least 75%. You will also need to submit a completed application along with two professional references, and a local police report is required for an extensive background check. You’ll also need to submit any official transcripts and produce a 250-word essay about why you chose Nursing as the career you want to pursue. This essay should include and explain your strengths and weaknesses along with personal motivations and inspirations. An interview by the Nursing staff will also be held before admission to the program. FNU prides ourselves in adopting the latest technology for educational purposes that will enhance teaching strategies. Our labs are high-tech, giving students a competitive edge in using those skills and abilities learned in a professional medical environment. If you would like to learn more about FNU’s Entry Level Nursing program, contact our Admissions Department to schedule an appointment with one of our advisors today.